Freshman forward Mia Root prepares to launch a shot during SDSU's 3-1 win over USD. 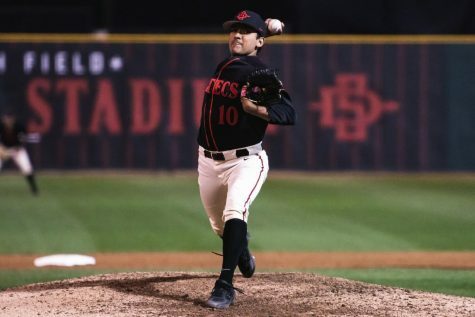 San Diego State women’s soccer regained its mojo by defeating crosstown rival University of San Diego 3-1 at home on Friday night. 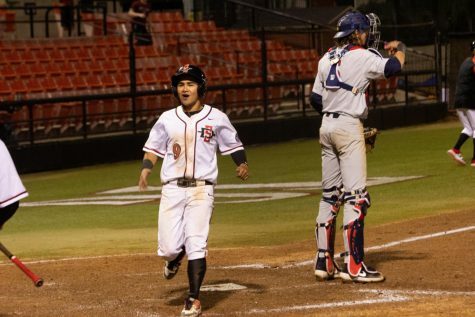 With the victory, the Aztecs improved to 2-3 on the season, ending their two-game losing streak. SDSU almost got out to a lead in the 29th minute, when freshman forward Mia Root’s shot took an incredible save from USD goalkeeper Amber Michel to stop from finding the back of the net. 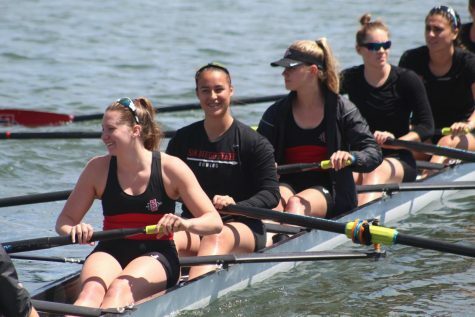 Freshman forward Esther Arnarsdottir tickled the net twice for the scarlet and black. 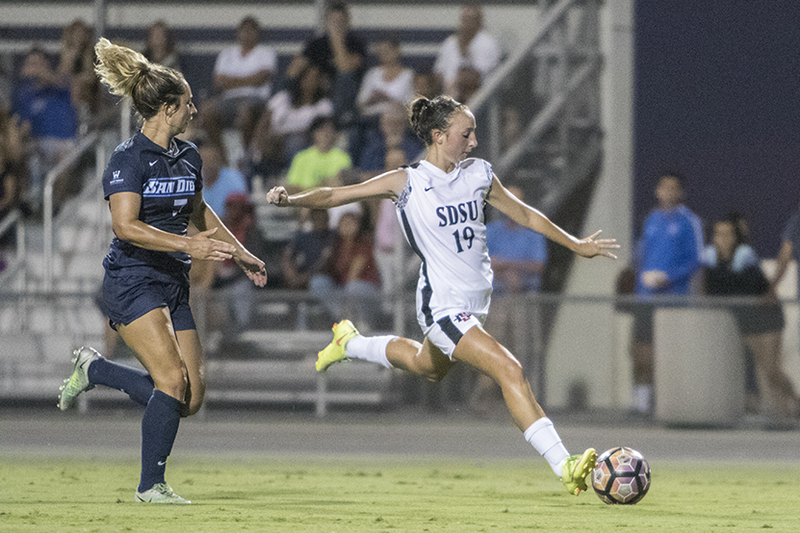 Her first goal came in the 30th minute, when the Aztecs gained possession off a USD turnover. Arnarsdottir beat a Torero defender one-on-one and found the back of the net to give the Aztecs a 1-0 lead. 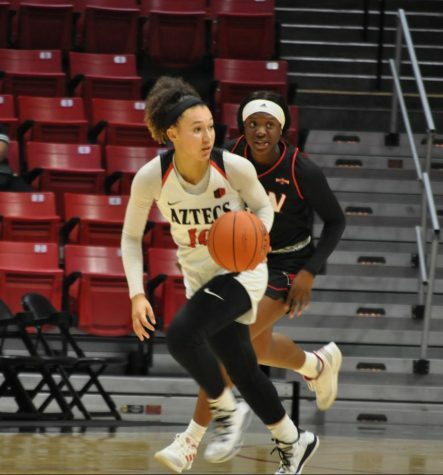 The lead turned out to be brief for the Aztecs, however, when a costly SDSU miscommunication allowed USD junior forward Summer Mason to find sophomore midfielder Kelley Carusa, who scored the game-tying goal. 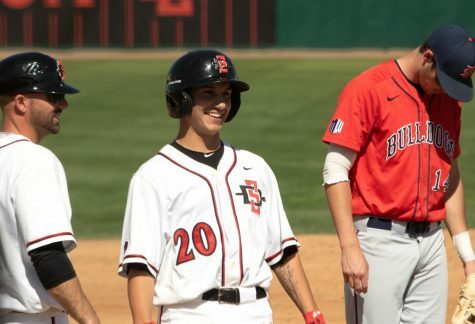 The Aztecs’ lead only lasted for 17 seconds, and at halftime the score was knotted at 1-1. SDSU head coach Mike Friesen said that giving up a goal on a miscommunication error right before halftime was unsatisfactory. 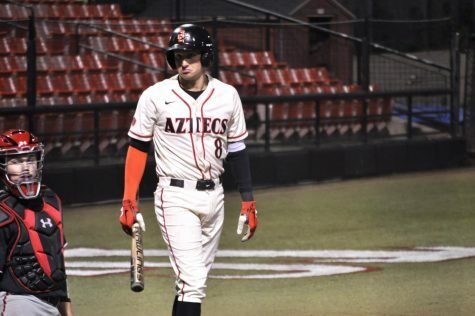 Coming out of the locker room, it didn’t take long for the Aztecs to regain their lead. In the 49th minute, sophomore Rachel Speros found herself unaccompanied from about 24 yards out was able to find Arnarsdottir, who scored her second goal of the game and gave SDSU a 2-1 lead. 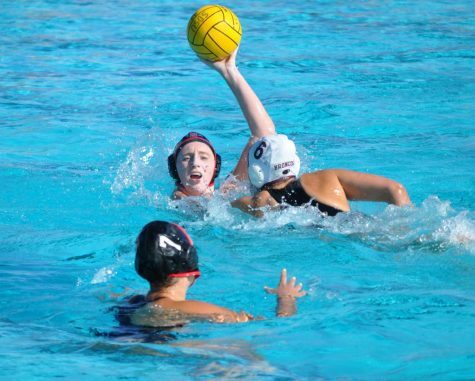 As the game moved on, the Aztecs continued to control the ball. SDSU got an extra goal for protection in the 84th minute, when senior forward Angela Mitchell connected with Root, who notched her first career collegiate goal. With the victory, the Aztecs have now won four straight matches against USD at home and are 5-0-1 all-time against the Toreros at home. Friesen said that seeing the team respond to losing a lead was a positive takeaway. 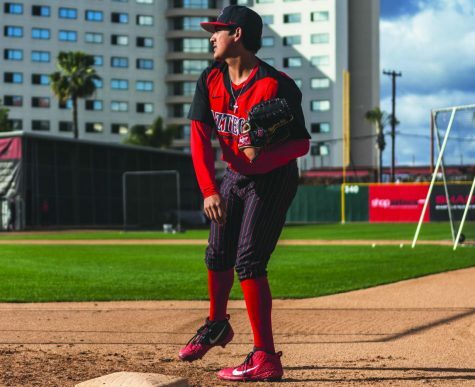 The Aztecs now start a stretch of three straight road games, starting at University of Nebraska on Friday, Sept. 8th.